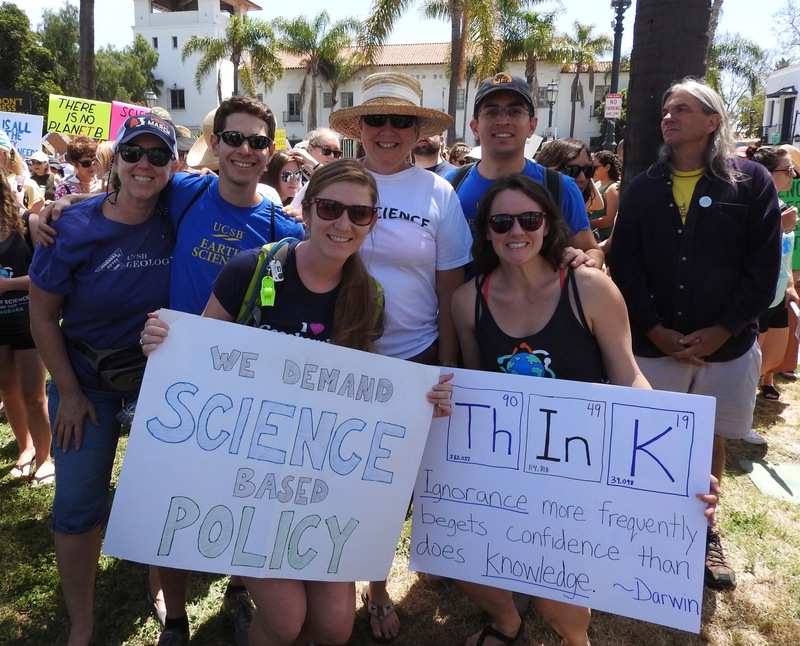 UCSB Earth Science Grad Students, Faculty and Staff March for Science. As Gloria Steinem said, "sometimes we must put our bodies where our beliefs are." Amazing turnout from many scientists, science believers, science supporters. Build labs, not walls.